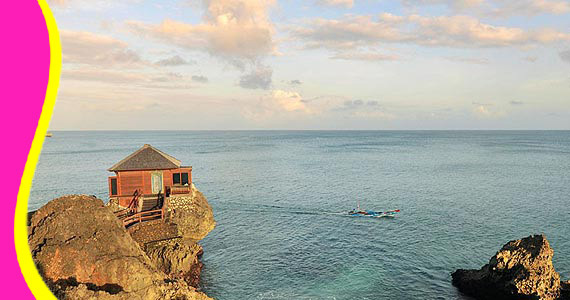 Awarded 2010 Conde Nast Traveler Readers Awards for No.1 Spa in Asia & Indian Subcontinent and 2009 World Travel Awards for Leading Luxury Resort, Ayana Resort and Spa is simply extraordinary. 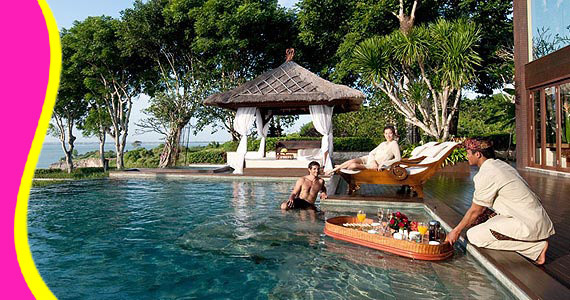 The Villas at AYANA Resort Jimbaran - Bali is presented with a magnificent view of the 1.3 kilometer coastline, including secluded white-sand beach. 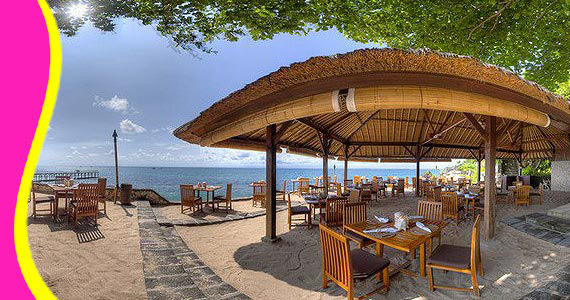 Guests may enjoy a tasteful meal within one of the 12 dining venues which includes Rock Bar, Dava restaurant, Padi restaurant, and Kisik seafood restaurant. There is an extensive list of recreational facilities: the award-winning Thermes Marins Thalasso Spa italicizes the world's largest Aquatonic pool, five swimming pools including a children’s pool and the salt-water Ocean Beach Pool, a perfume-making studio, an 18-hole golf putting course, tennis pavilion, fitness center, children’s center, and retail arcade. 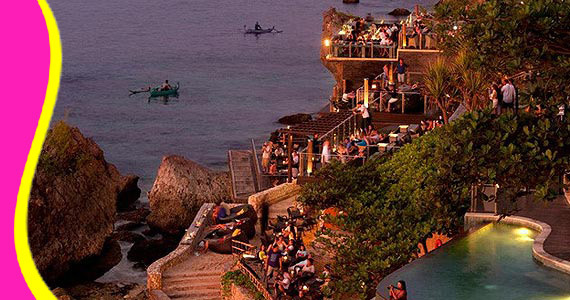 Enjoy magical sunsets from this breathtaking cliff-top location above Jimbaran. 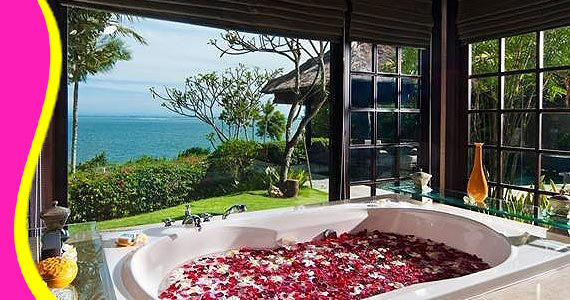 Bali luxury villas at The Villas at AYANA Resort is perfect for a honeymoon in Bali and travelers seeking an intimate haven to relax, refresh and rebalance to the tranquil island spirit. Each of the 78 spacious private pool villas in Bali features luxurious linens, indigenous artworks, separate living areas and enormous marble bathrooms. From arrival at the ‘floating’ Villa Lobby, enjoy maximum privacy and 24-hour service from internationally-certified butlers, complemented by the exclusive AYANA’s Little Luxuries and extensive on-site facilities. 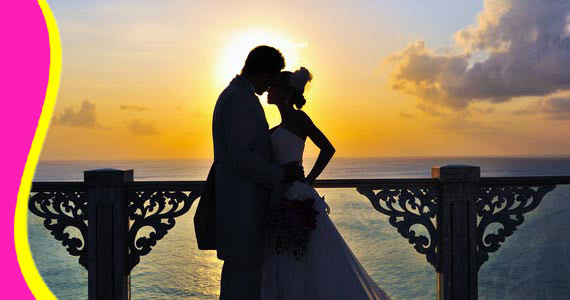 Cherish a floating brunch in your private pool, romantic candle-light dinner, soul-balancing massage, or lazy days with no disturbances. 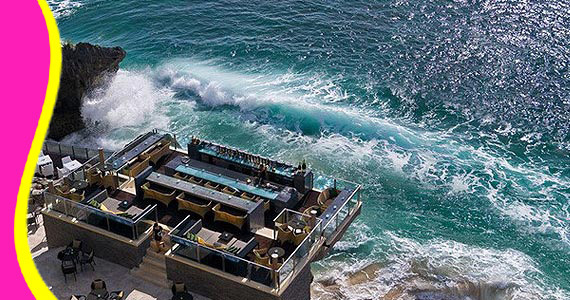 Or step out to indulge at Thermes Marins Bali Spa, a variety of restaurants, the iconic Rock Bar Bali, and white-sand beach. 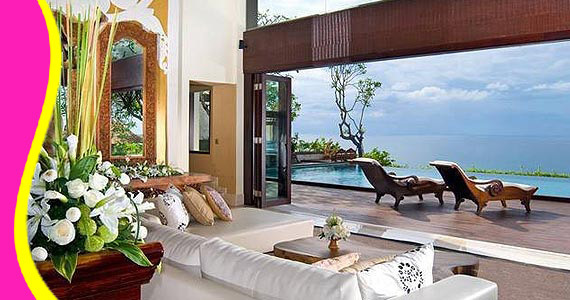 Located amongst The Villas at AYANA Resort’s tranquil gardens surrounded by colorful flower beds, quiet corners, koi ponds and garden statues, bridges and streams, the 38 Cliff Villas are the most spacious one-bedroom luxury private villas in Bali. 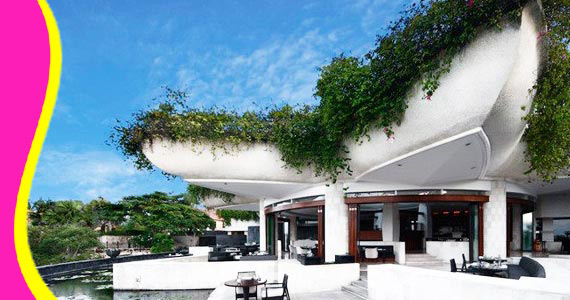 Indoor areas seamlessly connect with the outdoors to provide 500sqm (5,380sqf) of contemporary designer style at these luxury pool villas in Bali. 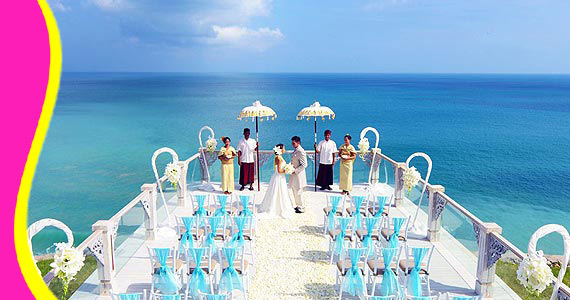 Guests of the Cliff Villas enjoy convenient access to the Villa Lobby, Library, two-tiered infinity-edged River Pool (considered AYANA’s ‘secret pool’ due to its secluded location), chic Martini Bar, and Dava Restaurant, for gourmet a la carte breakfasts and an unrivaled fine dining experience each night. 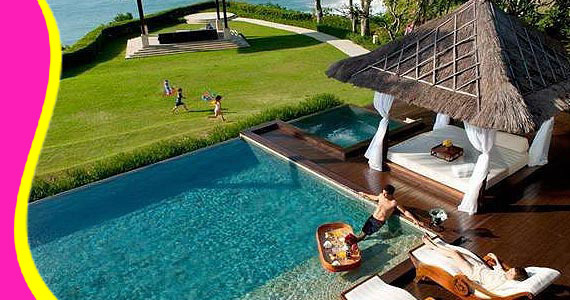 These 39 stunning luxury pool villas in Bali comprise one-bedroom honeymoon villas and two-bedroom family pool villas. 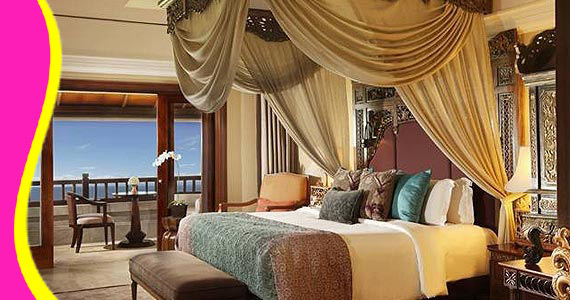 Inspired by the Balinese philosophy of Tri Hita Kirana, the ethnic Indonesian style and local furnishings and artworks of the Ocean Villas embodies the spirit of Bali, with modern comforts and luxuries. 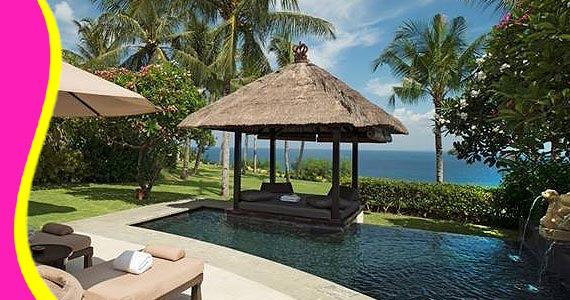 Each 298-530sqm (3200-5705sqf) luxury private villa in Bali provides spacious and secluded accommodation, as well as convenient access to restaurants and Rock Bar Bali, where all Bali luxury villa guests may make sunset reservations as part of their AYANA’s Little Luxuries. 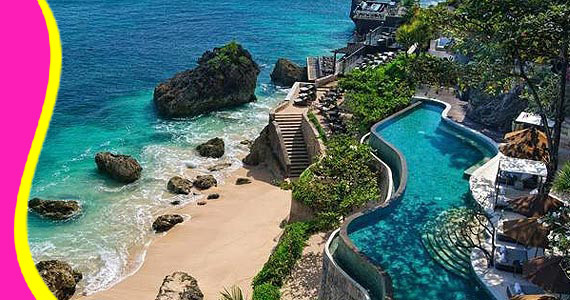 Perched on limestone cliffs above the Indian Ocean on Bali’s southwest coast, the 90-hectare AYANA Resort and Spa Bali features 368 guestrooms, comprising a 290-room five-star Bali hotel and 78 private Bali villas perfect for a Bali family vacation or a romantic honeymoon. 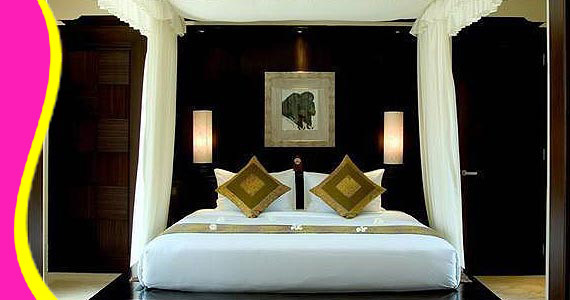 Each room and spacious suite harmoniously blends the latest modern comforts with traditional design, highlighted in Balinese carvings, sculptures, paintings and artifacts. 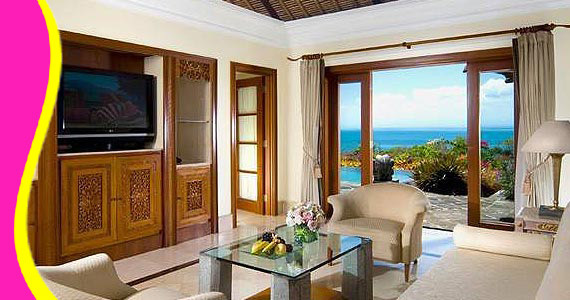 Contact us for Reservation or Booking of The Villas at AYANA Resort, Jimbaran : +6289666777488 (for further The Villas at AYANA Resort, Hotel in Jimbaran details & rate deals).